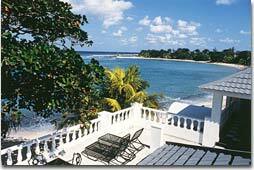 Travel to the Caribbean for a truly pampered vacation at one of these vacation rentals or villa resorts in Jamaica. Picture Orphan Annie when she was greeted by an entourage of maids, cooks, and other staff walking into the Warbucks? mansion; your welcoming might not be as grand (or musical), but you will be treated like a million bucks. Hideaways Staff Writer Katie Palos and her husband were fortunate to visit not one, but four accommodations, including fully-staffed vacation rentals with resort-like facilities and services. For the utmost privacy, spend your vacation at this villa resort with a club-like atmosphere and individually owned and decorated vacation rentals. For more on-site action, check out this villa resort that offers vacation rentals and suites, along with tennis, equestrian, water sports, and a spa. We also have some recommendations for luxury travel and a honeymoon resort with private cottages and a secret dining spot in high demand.